Jakarta Deputy Governor ensured, occupancy for Low-Income Communities (MBR) that becomes part of Zero Percent Down-Payment Housing Scheme program has good quality and habitable.
" Up to finishing, we want the best quality"
According to Sandi, PD Pembangunan Sarana Jaya will build 700-800 residential units and is expected could begin construction on January 18, 2018. 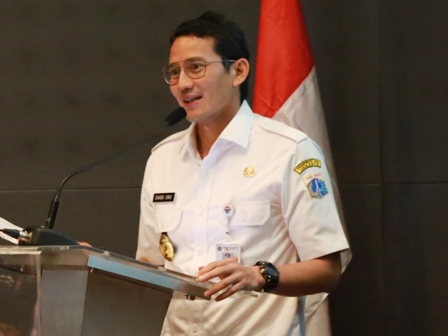 "Up to finishing, we want the best quality," he stated, after he became a speaker in a seminar titled Banking and Non-Banking Property Financing, at the Indonesia Stock Exchange Building, SCBD area, South Jakarta, Wednesday (12/20). He explains PD Pembangunan Sarana Jaya President Director must conduct calculation in detail related to funding for its implementation. Thus, launching could be done in early next year. "This program is targeted to be applied between one and one and a half years," he expressed. He added the city through Jakarta Public Housing and Settlement Dept. would establish Regional Public Service Agency (BLUD) to market the occupancy with such program. "We will continue to partner with the business world to bri ng the pro-people program that has been eagerly awaited," he stated.